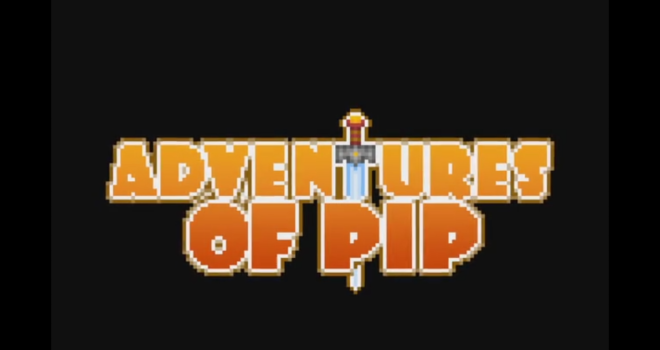 In Adventures of Pip we are introduced to Pip, a single pixel with the power to absorb the pixels of fallen enemies and evolve into a powerful hero! When the evil queen of a neighboring land swoops in and steals the kingdom’s most precious resource–its pixels–all the villagers, guards, and even nobles are reduced to single-pixel life forms, the lowest rung on the social ladder. With their power sapped and their hopes vanquished, it’s up to one unlikely little hero to save the day. That hero is Pip! Pip must journey through regions far and wide to reach the Dark Queen’s stronghold. Through forests, swamps, caves–Pip has to fight through hordes of her demonic army to get closer to the Queen herself! Along the way, he gains experience from the pixels of his fallen enemies, growing into the hero his kingdom needs in the battle against the Dark Queen. Your goal in this game is to turn Pic into the highest resolution possible so that he can gain more abilities, maneuvers like dashing, double jumping, wielding new weapons and powerful combos; in order to defeat the evil queen and save your kingdom before it disappears. The project is currently headed by ex-WayForward staffer Shereef Morse, the art director of A Boy and His Blob and BloodRayne: Betrayal, Marc Gomez, developer TicTocGames has started a Kickstarter campaign to bring this Pip to Xbox One, Wii U and PC. The game currently needs to raise $90,000 ($20,461 pledged so far) with 23 days left.